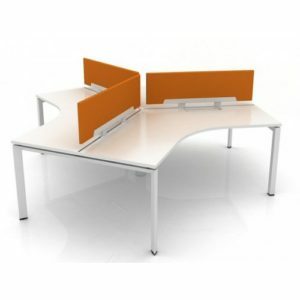 Adept Office Furniture has a range of Reception Desks that combine simplicity of style with function. 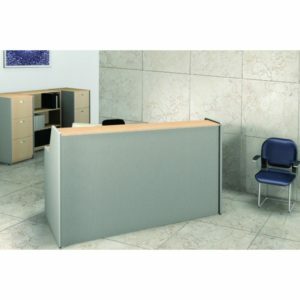 We specialize in supplying customized reception desks as required or you can choose from many of our standard sizes. 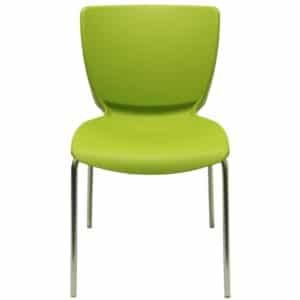 Loads of colour options Laminate or timber veneer Any shape available Use any type of material Modern, traditional or timeless designs. 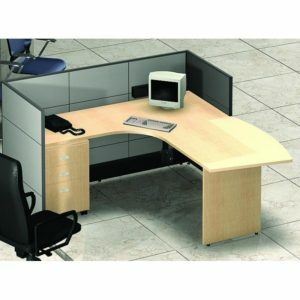 Your office reception is your shop front which sets the tone for your entire business. Make that big first impression with our sleek, modern and high-quality reception desks which brings the ‘wow’ factor from your visitors. 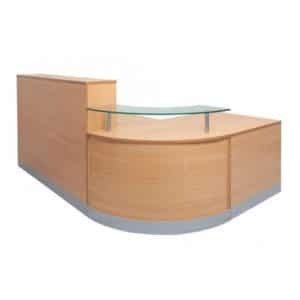 At Adept Office, our reception desk comes in a range of style, configuration, sizes and designs that make your reception area inviting, comfortable are sustainable. 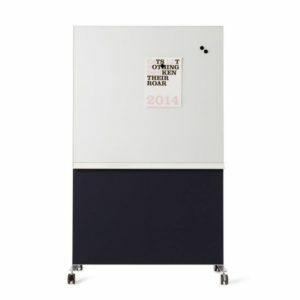 With different materials like laminates, timber, glass, steel, stone, perspex, fabrics, the finished product is made to look stylish and built to last. With a range of choices available, your options are limitless. 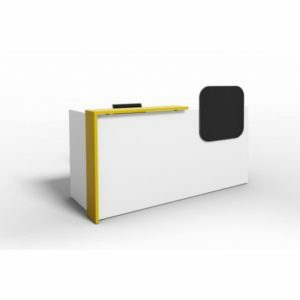 If you have a particular design, a specification in any shape, size or colour reception desk you want, we can help you with the options that suit your office. 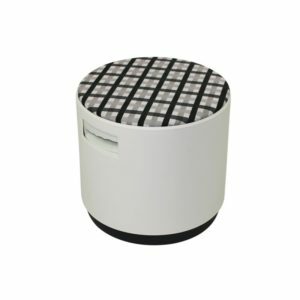 Our team can also suggest ideal reception desk for your Melbourne office keeping in mind your foyer area and architectural specifications. 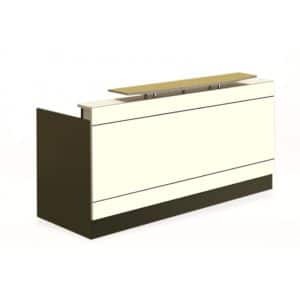 Durable and in fashion, wood counters add sophistication and warmth to your business front end. 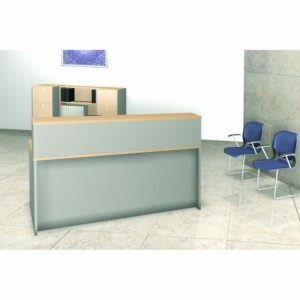 Often timber reception desks create a unique look and with your choice of polish, they easily become the focal attraction of your reception area. Glass reception desk has an Italian touch and transforms the reception area into an impressive entrance. 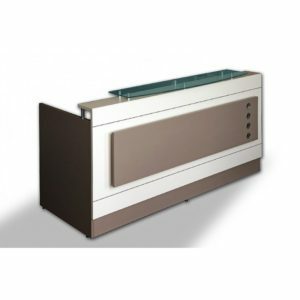 Available in different textures, colours, and finishes, the glass reception desks are also clubbed with metal edges to give a smooth finish. LED lights illuminating the textures heightens the looks of glass reception desk. 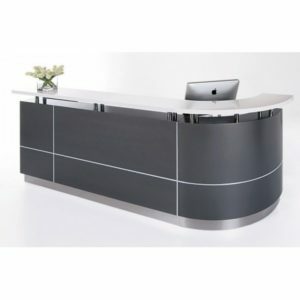 An ageless beauty, steel reception desk is robust yet smooth and easy to maintain. Illuminate it with lights or incorporate wood and glass in parts, to enhance the look a few notches higher. Impressive as corner reception desk as much as in the center. 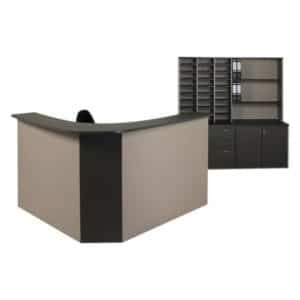 Stone reception desk speaks volumes about the high values of the business. Natural stone, marble, granite are just a few of the specialised finishes available to give your reception desk an extra dimension of personality and creative design style.